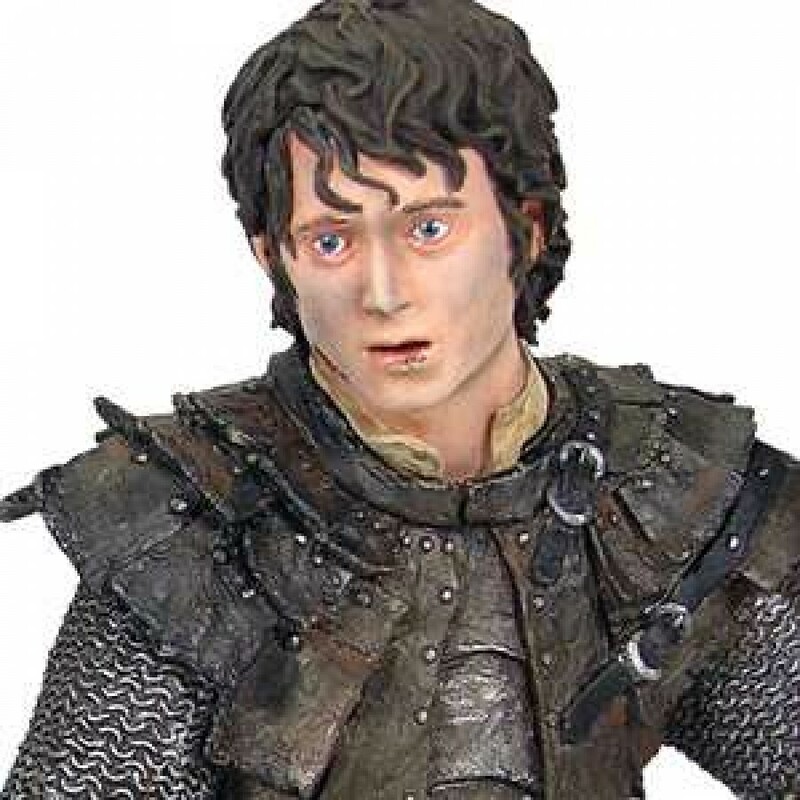 Limited Edition Lord of the Rings licensed collectible of Frodo by Gentle Giant with removable helmet. 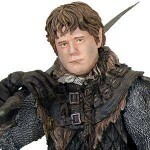 Frodo undertook the epic quest to destroy the One Ring in the firey core of Mount Doom. 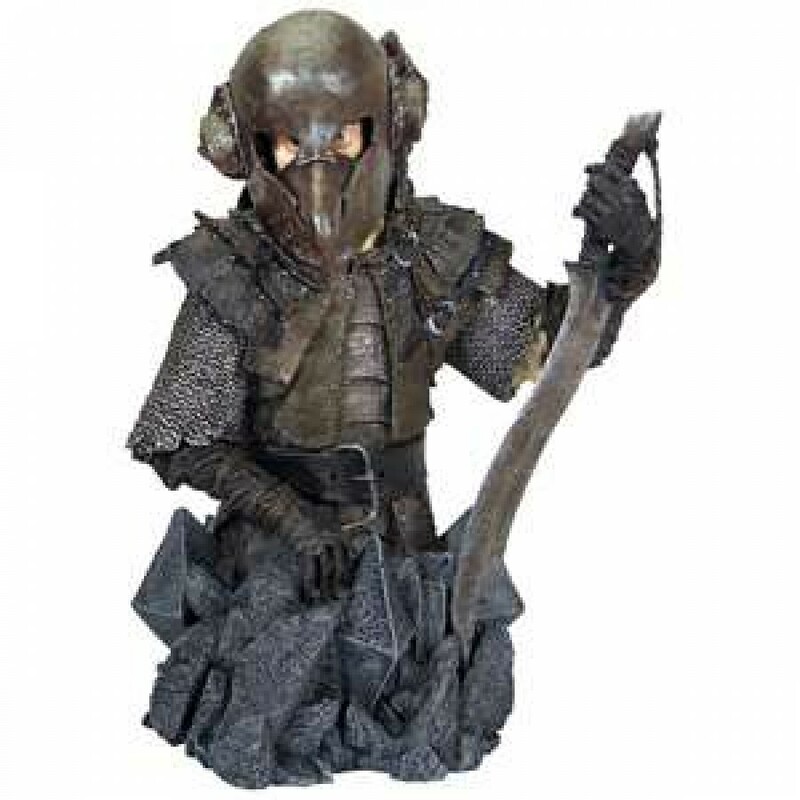 Along the way, Frodo and Sam disguised themselves as Orcs to sneak past all the guards that stood in their way. 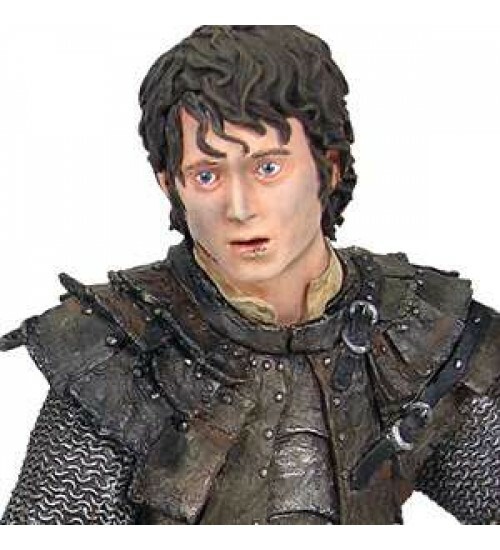 The Frodo in Orc Armor mini bust has a special compartment built into it's base for storing your keepsakes, stands 6.25 inches tall and is made of poly-resin. Comes with a hand-numbered Certificate of Authenticity. Item Number: FX-C1G39785 | Approximate Size (Inches): 5.00 wide x 4.00 deep x 6.50 high | Approximate Shipping Weight: 2.00 lbs.